- Since 1990 Xenia has been an active coastal engineer and entrepreneur. 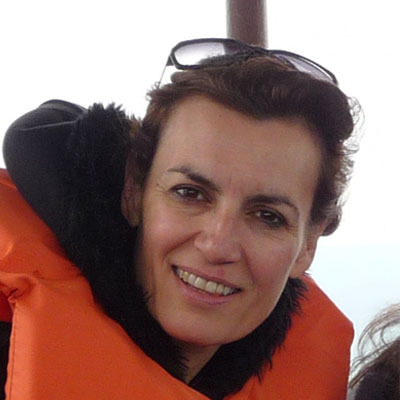 - She is co-founder of ISOTECH Ltd (www.isotech.com.cy), and of the NGO AKTI Project and Research Centre (www.akti.org.cy). - She has been member of several European and international expert groups and networks, and has worked in more than 50 countries. - She holds several offices (eg Member of Board of Directors of Cyprus Tourism Organisation). - She has received several international awards. She is the author/co-author of more than 200 technical reports and scientific papers. - She is the mother of two girls. She is exited to support young and motivated people to network, to structure cooperation schemes, to implement sustainable solutions and incorporate inclusive growth concepts into their careers, to extrovert and to innovate! !